Please contact me to schedule a time to meet before or after school. 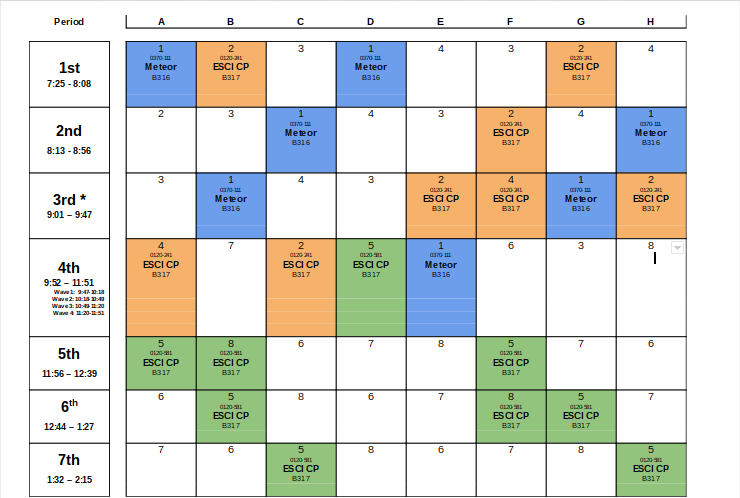 Alternatively, please compare my schedule to yours and let me know what period(s) you are free to meet. I am happy to help and I encourage you to contact me.